Glance L (Pictured) Award Winning Stove at Hearth & Home 2018 - Best Woodburning Stove over 5kW. Designed by Strand + Hvaas of Copenhagen. Simplicity and well-balanced lines combine to make the Glance truly stand out from the norm. Ashcott is new the latest design from Mendip stoves, it has a deeply sculptured cast iron door, convection top plate and cast iron legs. The Natura is an innovative range of stoves from Fogo Montanha. Red Dot Award Winner 2017, for it's impressive design. Some models utilise a cork outer casing for a truly unique look, combining aesthetics and functionality. Sometimes, the smaller changes have unexpectedly large effects. This is the case of the new E-40 stove, whose combustion chamber made of cast iron coated with white flux highlighting the brilliance of the fire as never before. Multi-award winning design, the Woodland stove is testament to the thought that went into creating the Woodland range of stoves. Woodland stoves have large windows and low heat outputs ideal for today's modern well insulated homes. Nestor Martin stoves are a result uncompromising engineering and over 150 years of craftsmanship. Their ancestral tradition as cast iron founders is coupled with a spirit of technological innovation. The Loxton stove has large glass window with a single air control making adjustment simple. Available from 3kW to 10kW and suitable for Smoke control areas. The Christon stove range is a full convection stove and ideal in a modern enviroment. The Westfire Uniq 23 family of wood burning stoves are a marvel of versatility with an option to suit wherever you decide your stove should be placed. Now with more flexibility as the 2017 models are now available with either a flat door or subtly curved door. We are very proud to present the Premium Line from Nestor Martin. These modular stoves can be combined with 4 different rotation kits and leg options to satisfy all installation and design requirements. An impressive convection stove with side glass. The Westfire Uniq 37 is a large glassed cylindrical stove available with 4 different leg options, standard, two pedestal options and a large option for the wow factor. Luxury cast iron convection stove from Hergom, large glass door, side loading door, efficient double combustion. 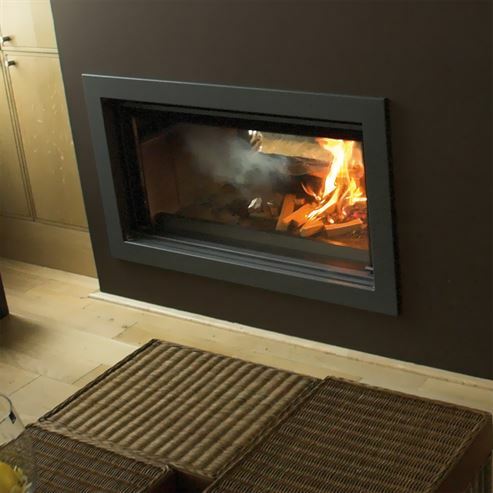 Somerton II is an elegantly proportioned cylindrical convection wood stove. The smooth fitted rounded door has a stainless steel curved handle and is topped off with an 8mm top plate. The Mallorca fireplace features a 360° glass surface. The sliding glass can be opened by rotating the fireplaces base; the fire view from this stove is magical. However, for those days that you don't wish to light the stove you can still create a statement by turning on the firebox lights. Mendip Stoves, Inspired by our rural setting but with modern living environments in mind. When you think of Danish design and engineering, understated design and functionally are key. The pinnacle of wood burning technology these log burners offer a new level of performance. Spains leading cast-iron stove manufacturer whose elegant stove designs enhance your home with Spanish style. From the heat of the fire, each stove is born of experience and enthusiasm for fire engineering. With a philosophy that balances nature and innovation, Jide stoves harnesses the environment to bring the power of fire.